The manual is missing but the disk is in good condition. The Suffering Ties That Bind Sony Playstation 2 PS2 VGC Free UK PP. Condition is Like New. Dispatched with Royal Mail 1st Class Large Letter. PlayStation 2 : Jak 2. """""""""""""""""""""""" """""""""""". Use your knowledge of horror mythology to destroy your enemies: silver for werewolves, holy water for vampires. Many other weapons combinations will be necessary if you are to prevail in this horrifying gothic first person shoot 'em up. Silent Hill 2 special 2 disc set PS2. Condition is Very Good. Dispatched with Royal Mail 1st Class Large Letter. 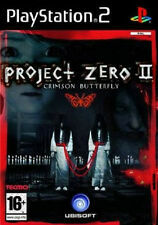 Project Zero PS2 PAL Good complete condition Dispatched with Royal Mail 1st Class Large Letter. Manual - good. Condition Notes : As seen in the pictures we have provided a few pictures and will let you judge for yourself the condition of the item our opinion is listed below. Condition - Good- Light Scratches To The Disk. Spanish Version. Sony Catalogue SLES 52508EAN. Daniel Lamb and Leo Kasper are the only surviving subjects. You open your eyes. Waves of confusion and paranoia crash over you. You have no idea who you are or how you got here.The door to your cell is open. Silent Hill 2: Director's Cut (Platinum) - PlayStation 2. Rest of World A few light marks to the disc, nothing serious. The case is in good condition, a few light scuffs. Trapt (Sony PlayStation 2, 2006) - Pal Version - SEALED - RARE. Condition is New. Dispatched with Royal Mail 1st Class Large Letter. Disc- NEAR NEW. Manual - good. Complete with booklet and Konami catalogue. Very small blemish on manual cover where sticker has been removed. Can she free the trapped souls before the servants of evil stop her?. Who is the mysterious Dark Man and what is his connection to the Clock Tower?. Can she survive the horror before the clock strikes midnight?. In the midst of this lurking terror, you must convince your squad to cooperate and complete tasks essential to both the success of the mission and your own survival. If you are unsure what format your machine is, you can check by looking on the sticker that is located on the bottom or the side of your machine. The Silent Hill Collection PS2, complete and lovely, Silent Hill1 included! Atmospheric, dark and horrific. The Silent Hill Collection (Sony PlayStation 2, 2006) Complete and all working, Condition is Very Good. The 3rd is more gore focused but still supurb, you carry on the story of Silent Hill 1. 5 out of 5 stars - The Silent Hill Collection PS2, complete and lovely, Silent Hill1 included! 1 product rating1 product ratings - The Silent Hill Collection PS2, complete and lovely, Silent Hill1 included! Todd McFarlane's: Evil Prophecy - PlayStation 2. The case is in good condition, a few light scuffs. A few light marks to the disc, nothing serious. Manual included and in very good condition. New listingSilent Hill 2 Special 2 Disc Set with Sticker (PS2 PlayStation 2) IMMACULATE! I'll be waiting for you there.". After an aborted attempt by car, he plunges into the dank fog and embarks on his quest by foot. Immaculate condition. The sequel's new story and characters promise to thrill and terrify. 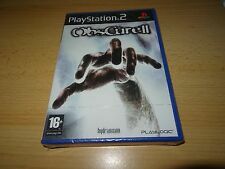 5 out of 5 stars - Silent Hill 2 Special 2 Disc Set with Sticker (PS2 PlayStation 2) IMMACULATE! 1 product rating1 product ratings - Silent Hill 2 Special 2 Disc Set with Sticker (PS2 PlayStation 2) IMMACULATE! Silent Hill 2 by Konami. -PlayStation 2. -PlayStation 3. - PlayStation Vita. All discs are sold as fully-working. Case : Inner and Outer parts in intact and complete in Excellent condition. Fully tested. THE SILENT HILL COLLECTION. FOR PLAYSTATION 2. ~ EXCELLE NT CONDITION, COMPLETE & FULLY TESTED ~. Daniel Lamb and Leo Kasper are the only surviving subjects. The Pickman Project will stop at nothing to hunt them down and stop the truth from getting out. PAL UK Version. You open your eyes. Waves of confusion and paranoia crash over you. Resident Evil 4. Fully tested and working. This is a cool item. Disc has marks but tested and works. With manual. Generally within 24 hours. I will help as much as I can. Its condition is consistent with its use and age. Lots of photos are included so you can see exactly what you are buying. NEW SEALED. Add to Favourites. Condition Notes : As seen in the pictures we have provided a few pictures and will let you judge for yourself the condition of the item our opinion is listed below. 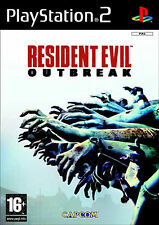 A must have for any survival horror, or From Software fan. Photos are of the exact item for sale. 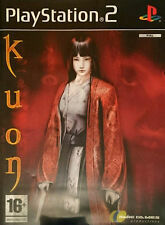 PAL Version - Platinum Release. The manual, case and cover are in good order. Complete with Case, Manual and Disc. Make sure you never miss a bargain! Fully checked and tested.